The following information is about the Online Evangelism Project. The fundamental goal of this project is to provide an online resource for the Church’s use. Our aim is to empower congregations of the Lord’s Church to be active in evangelism, especially in reaching people by current online means. We are making an informational packet available as a downloadable PDF by clicking here. We encourage you to share this packet with your congregation’s eldership or men involved in evangelism programs. Is there a need for online evangelism? How can your congregation get started? How can Invitation Cards be used? If this project sounds like an opportunity in which your congregation would like to participate, then please contact World Video Bible School by email: Biblestudy@wvbs.org. • You probably are aware or already using some of our DVDs, such as Searching for Truth, What Must I Do To Be Saved?, or Why Are There So Many Churches? The Searching for Truth DVD program was produced with the thought in mind of the great filmstrips of the past that did so much good in teaching the Gospel. It was made to be used by the Lord’s church to spread the Gospel and teach the lost. The six lessons include: 1) About the Truth; 2) About the Creator; 3) About Authority in Religion; 4) About the Church; 5) About the House of God; 6) About Baptism. Since its introduction (2006), the Searching for Truth DVD and book has seen great success. Over 900,000 DVDs and 90,000 printed books – approximately 1 million pieces of teaching material. • What is the Online Evangelism Project? 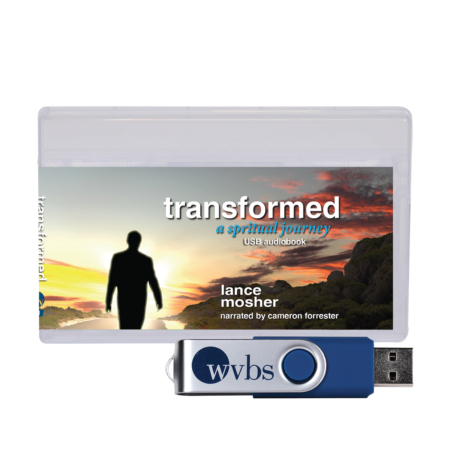 In an effort to increase the online opportunities for presenting and communicating the Gospel, WVBS has developed online, distributable versions of our evangelism material. Is there a need for Online Evangelism methods? • Population with Internet: 2.1 Billion people (700% increase since 2000) 80%-N.Am., 60%-Eur.,Aus. • Enable the idea of “Permission Evangelism” –meaning that a communication channel is offered and when the prospect communicates back (by sending their email and comments), they are giving you permission to begin a dialogue. • Reduce the cost and need for DVDs, by providing an “On-Demand” style distribution. Section 2: How Does It Work? As a participating congregation, you will have a unique URL address that allows visitors to the website to be connected to your congregation. For Example: www.SearchingForTruth.org/SW.tx identifies the Southwest church of Christ in Texas. This unique address identifier enables you to share and invite guests to view this teaching material. All your invited visitors can ask questions and make comments through the website, and their responses will be returned directly back to your congregation. 1. Watch the entire Searching for Truth video online. 2. Read the entire companion Study Guide online. 3. Ask questions or submit comments through an online form. 1. 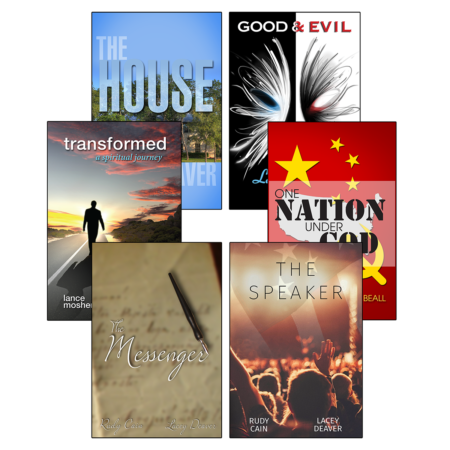 Have a personalized online evangelism tool. 2. Gain new personal email contacts through any website responses. 3. Empower your entire congregation with a way to be involved in evangelism… even the timid. • The participating congregation does not need to have their own website. • The congregation does not have to upload and maintain any video. • SearchingForTruth.org is constructed and maintained by WVBS for the Church’s use. Section 3: How can your congregation get started? Step One: The congregation leadership will need to decide to make a commitment to the project for its time and cost. They will need to select a person or persons to be responsible for monitoring and answering email inquiries from visitors to the website. Step Two: A congregation representative will need to contact WVBS to establish a “Searching for Truth” URL identifier (see example below). The congregation will also need to provide WVBS with an email address where visitor’s questions will be sent. Step Three: The congregation will need to determine in what ways they will promote and inform the local town or community that this website is available. Most current evangelism efforts can be integrated with this online effort. 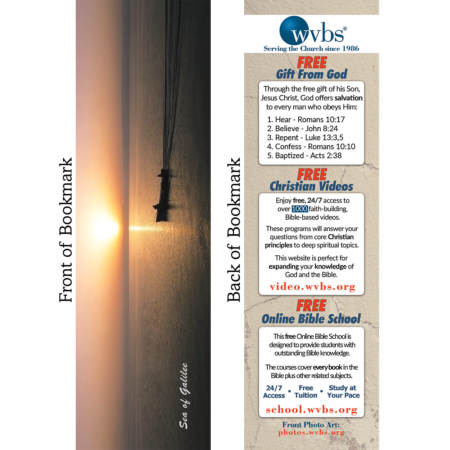 • The congregation can supply business-size Invitation Cards (see example on page 6) for members to use as tract-like hand-outs.
? For these types of Invitation Cards, WVBS has available the artwork and printer contacts to assist in obtaining these cards. • If the congregation uses the House to House, Heart to Heart mail-out service, then they can also advertise their SeachingForTruth.org address in this publication. • You can rent a billboard sign advertising the web address, or use a marquee sign. • You can run an ad in the newspaper. • You can canvas a neighborhood area putting the cards in door hanging packs. • You can have members place the unique web address on their own Facebook pages, websites, or blogs to share with their friends. • You can promote the web address on the congregation’s TV or Radio programs if this avenue is available. Section 4: What is the Cost? 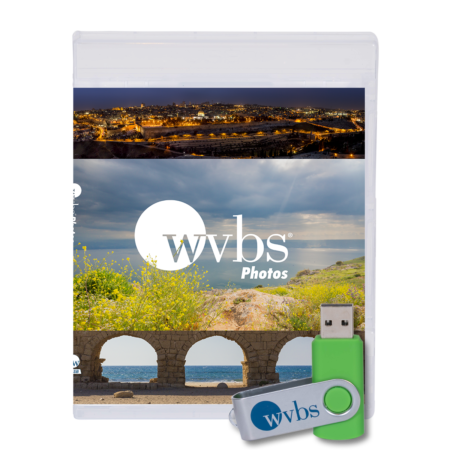 With this project, WVBS has out-of-pocket expenses to pay to setup and maintain this material online (web addresses, website services, video services). If you or your congregation can help with this, then these funds will be set aside for this purpose only. 1. Providing a one-time setup-fee of $10/site to establish the congregation’s unique identifier and return email address. 2. Provide an annual fee of $30/year (pro-rated for the first year) to maintain use of the website. Searching for Truth DVDs are available for $1 each (when ordering 20+), and study guides are $3.00 each (when ordering 20+), which can be distributed to one individual/family each reaching 3-10 people per ten dollars. Currently, $30 for one year of online video has no limitations on the number of viewers. Could your congregation “Spread the Word” to hundreds or thousands of people? Invitation Cards: Are business-sized cards designed to be a convenient and inexpensive way for someone to share the information contained in a video. They can be given to family members, friends, co-workers or anyone who might be interested in viewing the materials.